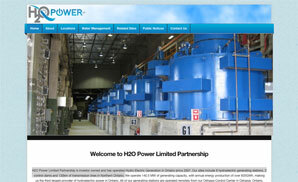 H2O Power Limited Partnership is investor owned and has operated Hydro Electric Generation in Ontario since 2007. Their sites include 8 hydroelectric generating stations, 2 control dams and 130km of transmission lines in Northern Ontario. The project was to create a new website using the WordPress framework.